Lap neck stripe babygrow printed with Star Baby image Fun design for the Star Baby in every family. 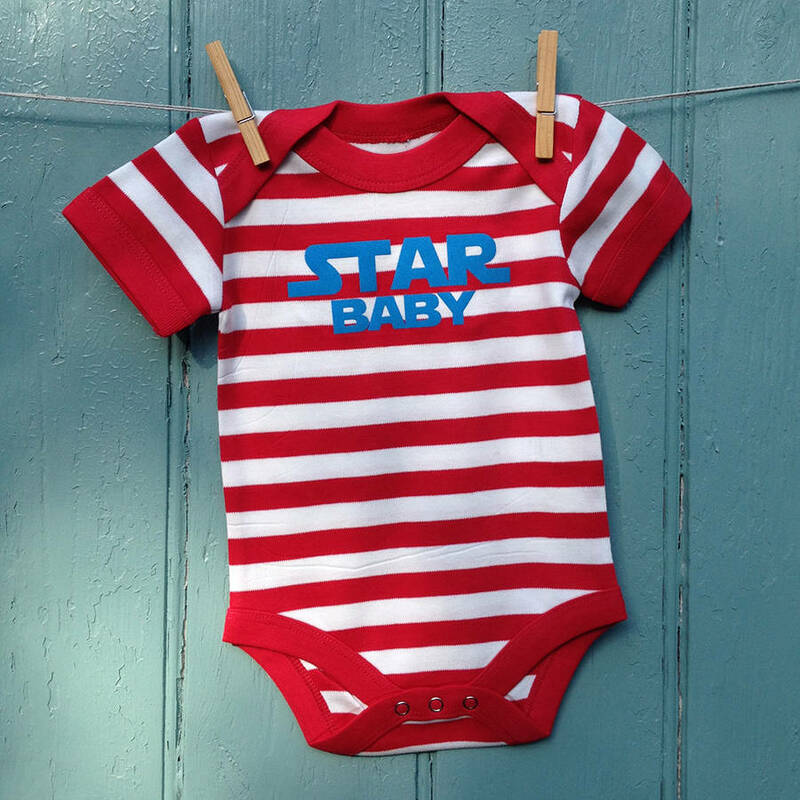 Red and natural stripe lap neck babygrow featuring blue "Star Baby" flock print on soft 100% cotton. Available in ages 3-6 months 6-12 months and 12-18 months Made in Soft 100% Combed Cotton with popper fastening. Item can be personalised on request 100% cotton, Machine wash at 40 degrees, tumble dry, iron on reverse.